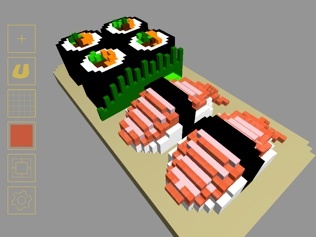 Voxel is a fun, easy-to-use 3D-pixel editor. 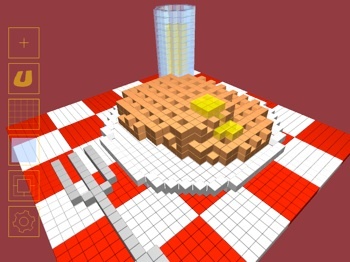 It's similar to "fatbits"-style image editing in many paint programs but in three-dimensions. 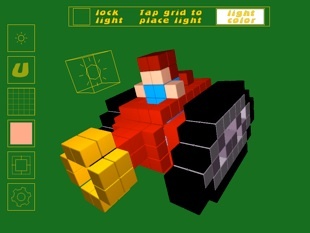 Use it to create simple sculptures, 3D icons, game-levels, or just to doodle with blocks. 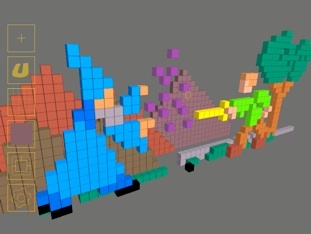 Check out the awesome models built by Voxel users in the Voxel Gallery! copyright 2010 Flat Black Films, Inc.
Just tap in empty space to create the first block. 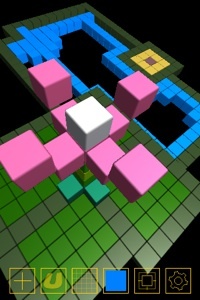 From there you can attach new blocks to it by tapping any face. 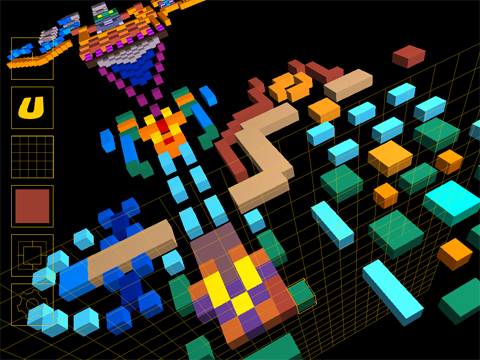 Or, toggle the grid guide to put blocks exactly where you want them. A color palette lets you change colors. Drag your finger on the selected block to rotate your view. Use a two-finger-swipe to rotate the view as well. Use the familiar two-finger pinch motion to zoom in or out -- or just hold your finger in one spot. A file browser allows you to save and load multiple files. Export and import them to other phones/ipods. You can even post images of your models to your Facebook account! 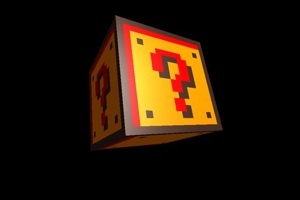 With the free version of Voxel, you can save one model. 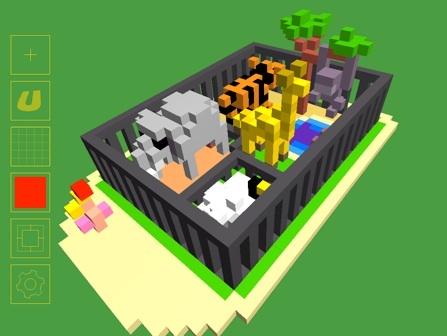 The full version is an in-app purchase for $2.99 -- it lets you save as many files as you like, plus you can participate in the Voxel Gallery -- share your files with the online Voxel community!